The current violent assault by Israel on a territory (Gaza) and a people (Palestinians) that it has displaced and occupies – and on Hamas in particular – has, at a tactical level, its domestic roots in the 2005 unilateral “withdrawal” of Israel from Gaza by the then Government of Ariel SHARON. It signaled the end of the “peace process” which had already by then, especially following the 1995 murder of Yitzhak RABIN by a fellow Israeli Jew and the death of the Palestinian leader Yasser ARAFAT in 2004 – a year after the 2003 US invasion of Iraq – started to morph from a real peace process into a mere extension of war-by-other-means. The division of the Palestinians, geographically (physical) and organizationally (as a political movement), in order to fragment and ultimately conquer the West Bank and make the establishment of a viable Palestinian State, impossible. This divide-and-rule method is as old as colonial conquest itself and is one of the reasons why Israeli historians such as Ilan PAPPE calls this ethnic cleansing. It is also why the recent rapprochement between Fatah and Hamas is one of the principal reasons why Israel decided to go after Hamas now: Israel wants the Palestinians to remain divided and fractured; and it wants Hamas (which analytically fits into the broader ambit of Political Islam), to become depoliticized and disarmed. In the long run, it is still pursuing the defeat of the Palestinian national movement, the reduction in the numbers of the Palestinian population in the area as a whole, and the obliteration of any forms or traces of Palestinian history in historical Palestine. The re-establishment of the regional status quo ante bellum – meaning as it was before the Arab Spring and rise of Political Islam in the Middle East. Current dominant groups in Israel, as well as those in Saudi Arabia, Egypt, Bahrain and the Emirates cannot afford that a situation of real, majoritarian democracy based on free and fair elections in which all their citizens participate freely and equally, prevails: at least in the case of Israel, until it has reduced the Palestinian (non-Jewish) numbers through a process of social and geographical attrition to such an extent, that it would never pose a threat to the ethnic concept of a Jewish State, secured through the engineering – by means of a series of wars, expulsions, geo-political “facts-on-the-ground” and annexations – of a “permanent Jewish majority”. This process started in 1947 and continues to this day; it explains the national obsession of Israelis with demographics and geography. From an Israeli perspective, until the Palestinians are bludgeoned and weakened to the point where they accept this exclusivist, ethnic and Jewish character of the State of Israel and permanently give up any historical claims to the land of their birth, there can simply be no peace. Reverting back to the status quo ante bellum, will therefore permit Israel, Saudi Arabia, Egypt and others to once more demonize, marginalize and diminish the forces of Political Islam (which includes Hamas) and recapture the strategic initiative. 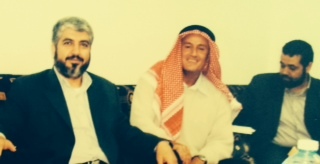 Moderate forces such as those of Political Islam that can square Islam and Democracy (for example such as in Turkey) therefore pose a real threat to the interests of Israel and Saudi Arabia, hence both countries prefer radical Islamic variants as opposition, which can be thought and fought through the trope of “fighting terrorists”. That off course should not be read as the slightest endorsement of terrorism – this is an analytic exercise aimed at understanding and not a treatise on morals or moral judgment: terrorism in any form is obviously quite simply, wrong. Fighting settler colonial occupation and expansion should however not be equated with terrorism either; there is no moral equivalence between an Occupier and the Occupied. And Israel is, under international law, an Occupier. Viewed as a complex system, the Middle East can only be understood as the simultaneous interplay of various components. These components interact horizontally with each other within three scales: domestic, regional and global. But these components also interact vertically between scales creating an intricate, dynamic interplay of individual actors, groups, coalitions and alliances. It can be visualized as an adapted Rubik’s Cube. Not understanding these horizontal and vertical relationships and interactions will render a proper understanding of the current situation rather difficult if not impossible. The oversimplifications below should therefore be understood as a first attempt to start drawing initial, broad lines of an eventual analysis primarily focused on the higher, strategic level: and not as a deliberate neglect of detail or cutting with a blunt knife. Caveat: The views of the Obama White House on these matters differ in significant ways from the majority views on Capitol Hill; but the White House views are more in synch with the sentiments of the majority of Americans. The restocking of Israeli munitions by the US, which takes place under their existing treaties and legal obligations to each other, was deliberately leaked to the Press by the Israelis as a way embarrass Obama and to cover up their feud. Caveat: Obama will not be President forever: the next US President is more likely to step in line with the views of Capitol Hill; views that are heavily influenced by the powerful, well-organized and monied pro-Israeli lobbies. Observation: In the current situation, there are significant misalignments and divergences between US and Israeli strategies in the Middle East, revealed through their differing positions on both the Iranian and the Palestinian issues. Operation Protective Edge was launched by Israel following its initiation through a fabricated trigger, a favored technique of the Israeli security establishment. But just as the incessant focus of Israel on Iran’s supposed nuclear weapons program, Gaza and Operation Protective Edge is a ruse; a distraction and obfuscation of the real target which in this instance, at the tactical level, is the West Bank and the Jerusalem area which is central to making the establishment of a viable Palestinian State, impossible. Regionally, the strategic target for Israel (and Saudi Arabia), remains Iran – and therefore the subversion of the current White House outreach to Iran and the nuclear negotiations – since they have already successfully reversed the effects of the wave of popular uprisings which helped bringing forces of Political Islam initially in power in places such as Egypt, Tunisia and Gaza (Hamas). Israel, Saudi Arabia and Egypt wants to return to the regional situation where forces of Political Islam (such as Hamas in Palestine and the Muslim Brotherhood in Egypt) are perceived as “terrorists”, internationally isolated and turned into outlaws. Iran must also once more be perceived as the grave “threat” – in much the same vein as Saddam HUSSAIN’s Iraq was portrayed until it was militarily attacked and invaded by the US. Operation Protective Edge, when seen from this vantage point, therefore forms part of a broader, regional strategy by Israel, Egypt and Saudi Arabia to seize back the initiative from Turkey and Qatar and ultimately to end the Iranian rapprochement. The overthrow of the Mursi- Government in Egypt and the attempted destruction of Hamas in Gaza through Operation Protective Edge, are therefore not separate events but intimately linked. We can therefore begin to make the argument that both Israel and Saudi Arabia seem to be adjusting, sometimes quite violently, to the reality of the absence of an active and offensive, US military prioritization in and of the region: Asia, Eastern Europe and to a lesser extent Africa seem to be the new American military priorities. The Middle Eastern political and security game is influenced by the global, geo-strategic moves of America, China and Russia; but its actors are increasingly regional and driven by the conflicting interests of their own regional positions and interests. This implies that both countries (Israel and Saudi Arabia and their allies,) are likely to get more directly involved (albeit through proxies) in places ranging from Lebanon to Syria and Iraq – they will rely less on the US to “do the dirty work” in a manner-of-speaking. The outbursts and defiance of Israel in respect of some of the initiatives of OBAMA and KERRY concerning Operation Protective Edge in Gaza, a clear sign that they have understood that they must take decisive action when their interests require it; even if this comes at the price of tension with their principal big power ally, the USA. But this also means that actors such as Russia will, for geo-strategic reasons, become more directly involved too. 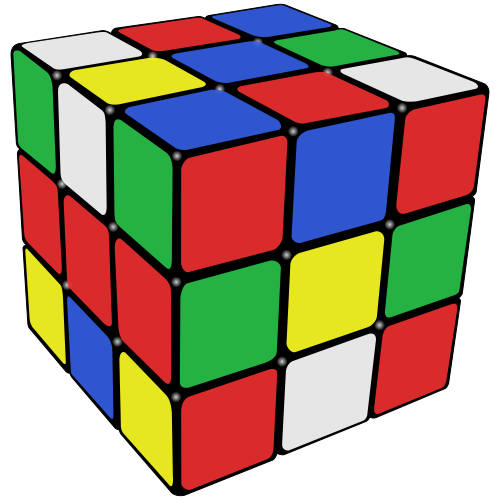 Hence the metaphor of the Rubik’s Cube becomes important again as an analytical tool. The successful reversal of the initial ascendency of political Islam by Saudi-Arabia, Israel, Egypt and the Emiratis has solidified their loose alliance based on a convergence of interests. From an Israeli perspective, this is useful in terms of intelligence and military coordination and cooperation, but highly embarrassing from the point of view of its diplomacy: it needs to present itself as democratic and Western because its national security concept was hitherto based on this. But it now finds itself in the company of states that nobody would really hold up as beacons of human rights and democracy. The current tension between Obama’s White House, Israel and Saudi Arabia has been long in the making. Leaving aside the specific characteristics and brash conduct of the current Israeli Prime Minister, including the condescending attitudes regularly on display towards the “naive” Americans – it was Obama’s tacit backing of the rise of Political Islam across the Middle East during the Arab Spring that really set off loud alarm bells in Tel Aviv and Riyadh. To fully understand this, it is necessary to step back to the discussions and decisions about Strategy and Tactics in the movements of Political Islam during the late 1990s and early 2000’s. And to also revisit Israeli tactics during that period, most notably its widely reported announcements at the time, that it “would no longer guarantee the safety of Yasser ARAFAT (PLO) and his subsequent death in November 2004 in France. I will focus on Hamas – the bête noir for the Sharon and Netanyahu Governments, specifically the decision of Hamas in 2005 to pursue the path to political power through the ballot box in the Occupied Territories. For the sake of brevity and focus, I will not yet highlight in any detail the key roles of Qatar and Turkey in all of this. In response to this decision and the subsequent electoral victory of Hamas in Gaza in free and fair elections in Gaza and the West-Bank in 2006, Israel and particularly Egypt under Hosni MUBARAK, convinced and coordinated closely with the Americans (under George W. BUSH) to overturn, subvert and set Hamas up to fail. America, Israel, Egypt, Jordan and to a lesser extent Saudi Arabia (with the cooperation of the Fatah at the time), strictly policed a very hard line that made it impossible and costly to give any legitimacy to Hamas: Hamas needed to fail and be isolated politically, financially and regionally: not even dialogue with Hamas was permitted. And it is precisely this line that the Israelis, with nods from Cairo and Riyadh, now want to re-establish and of which Operation Protective Edge is not the beginning (it started with the Mursi overthrow in Egypt) nor the end but nonetheless forms an intricate part. The South African Government at that time, had understood early on that once the Israeli guarantees of the safety of Yasser ARAFAT were removed, the probabilities of his incapacitation or death, rose significantly. And that the Palestinian movement represented by the PLO, would face severe internal difficulties if this were to occur. The Government therefore, presciently and wisely, carefully traversed and crossed these lines in order to keep itself abreast of developments in the ground: we established and maintained discreet channels of dialogue and communication with movements of Political Islam, including with Hamas. As a consequence, we were one of a very few countries in the world that were not surprised by the Hamas decision to participate in the 2006 elections in Gaza, or with their subsequent electoral victory in Gaza. When Obama came to power in the USA in 2008 he initially continued to pursue this hard-line position of his predecessors, but was eventually convinced that this situation was no longer tenable or sustainable. When the Arab Spring occurred, the Americans did very little to prop up their former allies in the Middle East, preferring to watch as the people basically coalesced into a popular uprising. This was an important strategic divergence between Israel, a Saudi Arabia and America that was followed eventually by a logical second one: the Obama rapprochement with Iran. Some countries however will make the serious miscalculation of not correctly reading or adapting to a rapidly changing world. From a risk perspective the three countries in the Middle East that stand out in this respect at the moment, is Israel and the loose alliance it has constructed with Egypt (except for the brief period before the democratically elected Mursi-Administration was overthrown) and Saudi Arabia. The emergence of a new balance-of-forces or of alternative global architectures combined with rapid power shifts may well catch these countries off-guard and ill-prepared. Judging from the very serious intelligence failure Israel has suffered as part of Operation Protective Edge – Hamas succeeded in building a vast and sophisticated network of underground bunkers, tunnels and factories undetected right under the noses of all the sophisticated Israeli surveillance – the prognosis does not seem very good. Israel is in a state of hubris and has started to believe its own rhetoric to such an extent, that it is behaving irrationally and will continue to make strategic miscalculations based on a misreading of what is going on around them. Depending on which side of the fence one sits, this may either fill you with optimism or with a sense of alarm. But this reconfiguration is not only driven horizontally in the form of shifting power-balances between nation states; there is also a vertical dynamic at play: between ordinary people and elites. Ordinary citizens of the world, in all parts of the world without exception, are desirous of profound changes in the way the global commons is governed: politically, economically, financially and socially. The plethora of social protests, uprisings and civic movements – a real yearning for the return of politics and people – that the world has seen over the last 10 years are not only directed specifically against Leader X or Party Y, but are expressions of a much deeper discontent with the “the way the world is organized and works”. These are indeed the “morbid signs of the inter-regnum” that signals a profound shaking up of the fundamentals, is already underway. This entry was posted in Middle East and tagged Gaza, Hamas, Israel, Operation Protective Edge, Protective Edge, Saudi Arabia, South Africa Foreign Policy on August 2, 2014 by Andre ZAAIMAN.